My to-read pile is toppling over, and that's just with books which have already come out. So of course I wanted to find out what else I could add to the pile by asking our contributors what book they're most looking forward to in 2013. Check out everyone's picks below, and add your favorite in the comments. My pick is Untold by Sarah Rees Brennan (Book 2 in Lynburn Legacy). 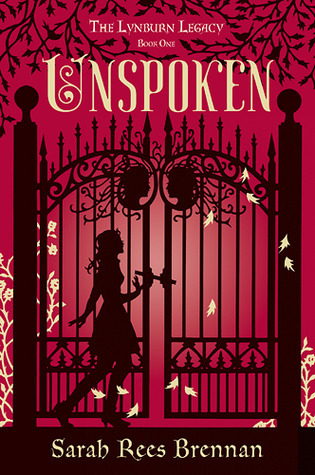 I read UNSPOKEN about a month ago and if you live anywhere near me, converse with me online, or ending up behind me in the grocery store check-out line, you've heard how much I loved this book. I laughed so loud and so often that my poor husband (who was usually sleeping while I read) decided, "I either have to read this book or ban it from your night time reading." (He's currently chuckling through chapter six). It was one of those books where I looked up the release date to the sequel as soon as I finished the last page. And then woke him up (again) to moan, "WHY IS SEPTEMBER SO FAR AWAY?" -- to which he sleepily replied, "Because it's December. Go to sleep." I cannot wait to find out what happens next in Kami's life. I hope book two is just as filled with giggles and gasps and Nooooo's! This is tough! There are SO many 2013 releases I'm salivating over (::points to my fellow Lucky 13s::), but now that you mention it, there is one book I'm extra-psyched about. My critique partners and very good friends, Lorie Langdon and Carey Corp, have co-written DOON, a YA retelling of the legend of Brigadoon. The result is positively magical, and the first in their four-book series releases in September 2013 from Zondervan/Harper Collins. 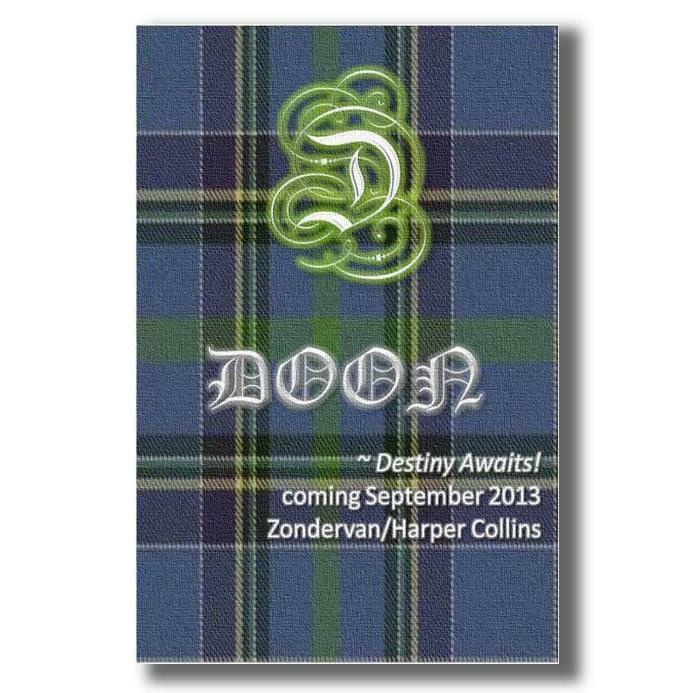 If you love romance and hot, kilted boys and friendship and happily-ever-afters, you must get your hands on DOON! 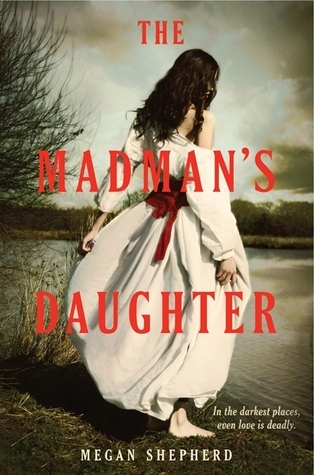 I'm most looking forward to THE MADMAN'S DAUGHTER by Megan Shepherd. Dr. Moreau's daughter, insanity, a secluded island with monsters and two hot guys? I'm there. This is such a hard decision to make, but in the end I had to go with the Gothic fairy tale retelling that's had me salivating over it for MONTHS! 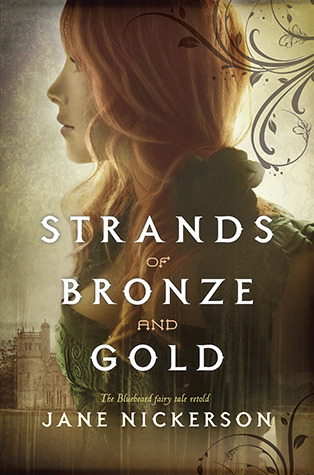 Strands of Bronze and Gold, by Jane Nickerson, sounds like the perfect combination of everything I love. Fairy Tales, mystery, romance, suspense, and a unique historical setting. Plus the cover is kind of to-die-for gorgeous! I rarely buy books right when they come out, but this is going on my must-buy list already! 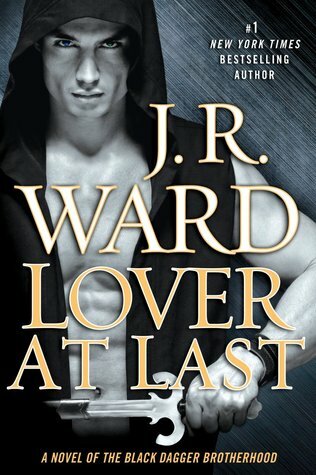 Oh without a doubt the book that I am most looking forward to for 2013 is LOVER AT LAST. If you are a Blackdagger Brotherhood Fan then you can agree with me 100%. We have been waiting for this specific book to be written for sometime now and we are finally going to get it. I cant wait to read Blay and Qhinn's story. This series my all-time favorite adult series. Its book crack!!! There are so many books coming out in 2013, that I have a hard time picking just one for this! But I'm going to go with ... WEDDING NIGHT by Sophie Kinsella! I fell in love with the Shopaholic books as a college sophomore, and have devoured every new Kinsella book since. I know I can always count on them to be fun reads with quirky heroines and a delightfully British flavor. Perfect summer reads! I'm always on the lookout for great YA science fiction, and I'm a huge fan of Star Trek, so I'm really looking forward to Starglass by Phoebe North. I'm lucky enough to know both the author and editor of this book, so I'm pretty sure I'm going to love it (plus, look at that fantastic cover illustration by Rob Shields!) — but despite my connections, I'll have to wait until July 23 to read it with everyone else. Here's what Goodreads says about it: The generation ship Asherah coasts through space, bound for a planet its passengers have never even seen. On the eve of their arrival, sixteen-year-old botanist Terra discovers that her orderly society has fractured. Walking home one night through the long-abandoned engine rooms, she witnesses the murder of an innocent man. Now, called on by the Children of Abel, a group of rebels intent on destroying the High Council, Terra must prove her mettlex — assassinate the ship's rising captain. In order to carry out her task, Terra must betray her father, deceive her teacher, and challenge everything the Council has ever taught her was true. The rebels think that Terra has nothing left to lose. But when she falls for Silvan Rafferty, the boy that she's meant to kill, Terra learns that "doing your duty" isn't always as easy as it seems. I talked about several books that I'm looking forward to in 2013 during our series of end-of-the-year blog posts. But of course, there are always books you leave off of those lists. Unspoken, picked by Tiffany, is one of those such books. Another one which I'm greatly looking forward to is The Outside, by Laura Bickle, which is the sequel to The Hallowed Ones, one of my favorites from 2012. We learned just enough about the characters and situation in the first book to get me reeled in, and now I can't wait to see what happens to Katie and her friends as they leave the Amish community which was supposed to have protected them all.